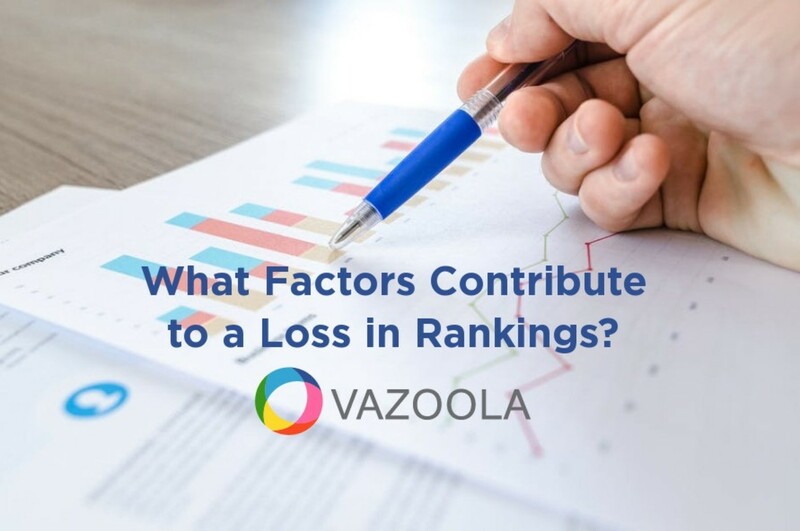 Vazoola Resources | What Factors Contribute to a Loss in Rankings? What Factors Contribute to a Loss in Rankings? Losing rankings in the SERPs can trigger panic, and rightfully so. Rankings equate to links, and links equate to conversions. Without either, your website is nothing more than an abandoned virtual storefront. Fortunately, a loss in rankings is rarely permanent, and it almost always comes with an easy fix. If you want to turn your rankings around and start popping up at the top again, you need to begin by diagnosing the issue. Read on for common reasons website rankings suddenly plummet. It's common knowledge that you can increase your rankings by earning links on influential sites. However, if your site receives a sudden surge in new links, it may trigger an adverse, temporary response. Google looks to a site's trustworthiness and authority when determining how a link should impact a site's rankings. The more trustworthy a site, the more positive the impact and vice versa. If Google has had an issue with a site before, it's likely to ding any websites with direct links from the problem domain. That said, sometimes Google wants to make sure that a website isn't using unnatural tactics to gain more links, even if it discovers that the links are natural and that they come from authoritative domains. To do this, it will attempt to "confuse" any attempts to manipulate the search results via a "rank transition function." Once it performs its test, and if the results come back all-clear, Google will restore your rankings, or even give them the boost the new links warrant. Lost links are even more detrimental than a surge in links. This is especially true for small websites that rely on few but strong backlinks. If the links that redirect to your site are removed or become temporarily unavailable, it can have a hugely negative impact on your site's rankings. There are several lost links tools available that can help you discover if your problem does stem from lost backlinks and, if so, where those lost links exist. Though Google likes to see that sites are always evolving, adding new content, and removing old content, unscheduled changes can have an adverse impact on your rankings. For this reason, it is imperative that your team works together and that your web development team informs marketing and other key stakeholders of planned changes. Every once in a while, a specific topic will be trending, thereby eliciting a desire for news-based content as opposed to evergreen content. When this happens, static pages get pushed down in the rankings while news stories take up page one. This phenomenon is referred to as "Query Deserved Freshness. (QDF)"
Unfortunately, there isn't much you can do about QDF except to hope that the hype over the given topic will go away within a day or two and therefore, restore your rankings to their rightful place on page one. If you've been in business for a while, then you already know about Google's always anticipated yet always dreaded algorithm changes. Algorithm changes almost always result in ranking drops for even the most popular and influential sites. Why? Because Google wants to keep website owners on their toes…and because it wants to make sure that no one has completely mastered its system. Algorithm changes are Google's way of leveling the playing field and ensuring that up-and-coming sites have an opportunity to flourish even though there may be thousands of others that established their presence on the World Wide Web decades ago. If your drop didn't coincide with an algorithm change, and if you cannot find any other reason for the decline in rankings, the cause may very well be the consequence of a penalty. If this is the case, it is imperative that you begin taking measures immediately to identify the reason for the penalty and remove the issue. You can more easily determine the problem by going to Google Search Console and either checking for new messages or looking up "Manual Actions." If Google did penalize you, it would tell you why as well as how you can remedy the problem. So long as you aren't doing anything blatantly "illegal" by Google's standards, the chances are that your rankings drop is temporary and easily remedied. Once you've established the issue, take immediate and decisive action to get your rankings back up. 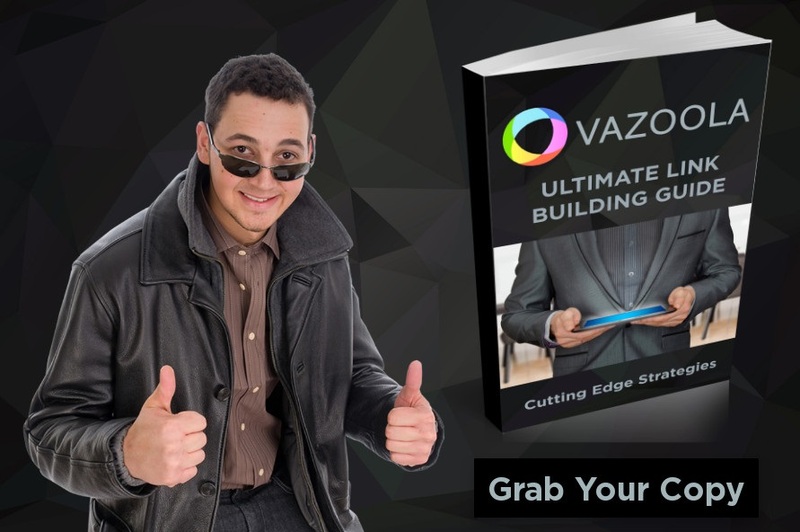 To learn more about how to recover from manual/algorithmic penalties and other link building strategies, grab your copy of our Ultimate Link Building Guide.